If you like the dark theme of Visual Studio and wish that you had the dark theme for SQL Server Management Studio (SSMS), look no further. Management Studio actually comes with a dark theme, but it just isn’t enabled. It’s super simple to enable this feature. Here’s how. Note: I’ve confirmed this works with SQL Server 2016. From there we navigate to Environment –> General. On the right side we can see Color theme:. 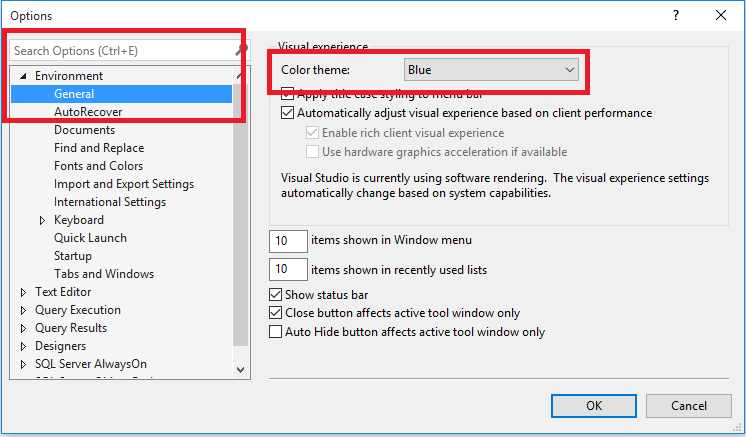 This option shows the current color theme that you are SSMS is using. To allow the Dark theme to be selected, all we need to do is make a small change to the ssms.pkgundef file. This file is located at: “C:\program files (x86)\Microsoft SQL Server\130\tools\binn\managementstudio\ssms.pkgundef”. Step 1) Close SQL Server Management Studio and then browse to the ssms.pkgundef file and open it with Notepad. The easiest way I found is to right click on the file and choose Edit. 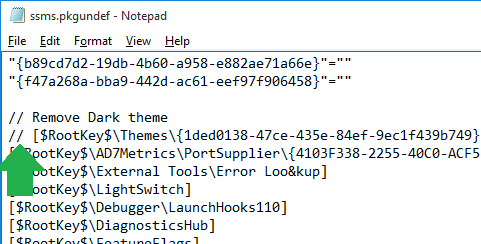 TIP: If you can’t save the file after editing it, you may need to launch Notepad as administrator. 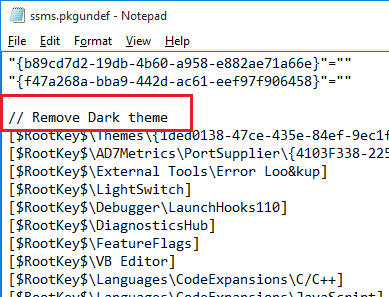 Step 2) Find the // Remove Dark theme key. The easiest way is to just do a search in Notepad. Step 3) Add 2 slashes (//) in front of this key that starts with [$RootKey$\Themes\. Save and close the file. 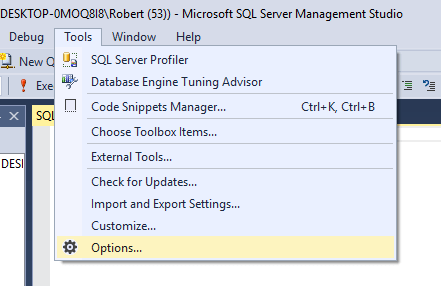 Step 4) Relaunch SQL Server Management Studio. Go back in to the options and select the Dark theme. This is what your final product should look like! Enjoy!